Anti-Bullying Week 2018 is happening from 12th - 16th November and has the theme Choose Respect. The Anti-Bullying Alliance have produced an assembly for both primary and secondary schools, based around the theme of respect. 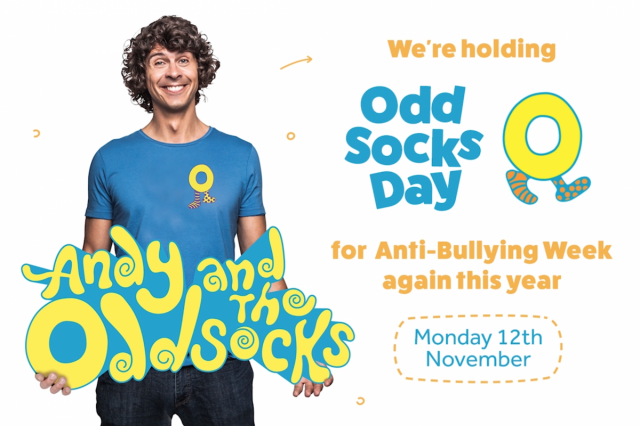 Odd Socks Day for Anti-Bullying Week will take place again on the first day of Anti-Bullying Week (12th November). This is a great opportunity for students (and staff!) to wear their best odd socks for the day to express their uniqueness, and lets face it...EVERYONE has a pair of odd socks!